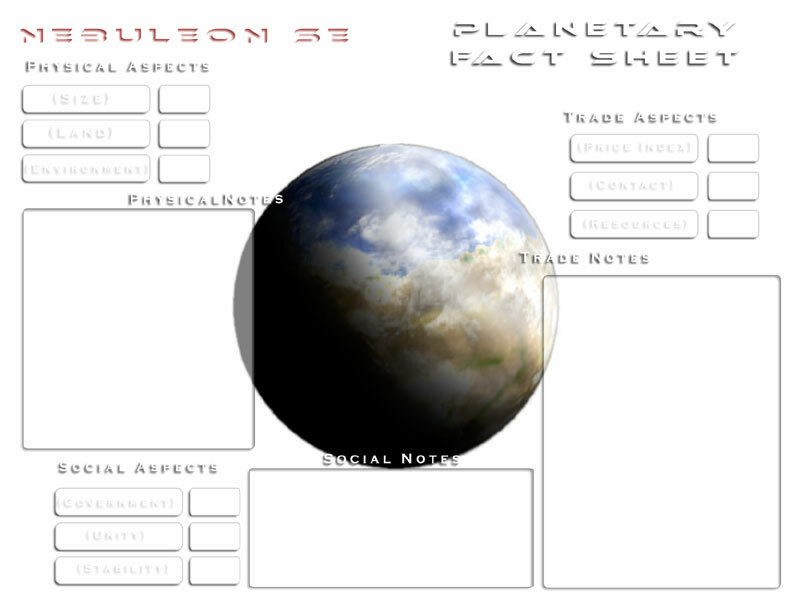 First go at the Planet Building system. For the quantifier we would use it like so. Say, Price Index has a quantifier of 3, then all product prices would be multiplied by 1.3. If it was -3, then they would be multiplied by 0.7. GMs can make up whatever Aspects they want but some are suggested. Below is a rough draft of the planetary fact sheet. Click for a bigger version. I would make the quantifier = the multiplier rather than go through an extra step – i.e. 1.3 or .7 rather than +3 or -3. The problem there Clash would be if we want to use it for anything but indicators. So, if we want a modification on economics, it would be easy enough to time by 10 and add or subtract as appropriate.